By early 2018, every commercial truck traveling the 3.5 million miles of U.S. public roads will be required to have electronic logging devices (ELD) installed; fleets and drivers who don’t comply with the federal government’s ELD mandate will face civil penalties. The federal government enacted the new mandate in late 2015 as a way of making roads safer, creating more equitable working conditions for drivers and streamlining record keeping. ABCO Transportation trucks are equipped with in-cab ELD technology already. For those who ship with ABCO, this means there is nothing to worry about when it comes to compliance. However, despite the new federal requirements, ABCO Transportation has taken the lead in the industry, gearing its services to shippers looking for a smooth, efficient and professional transition. Industry expert Annette Sandberg explained the penalties for fleets and drivers who don’t comply by the December 2017 deadline. Sandberg was administrator of the Federal Motor Carrier Safety Administration (FMCSA) and deputy administrator of the National Highway Traffic Safety Administration. 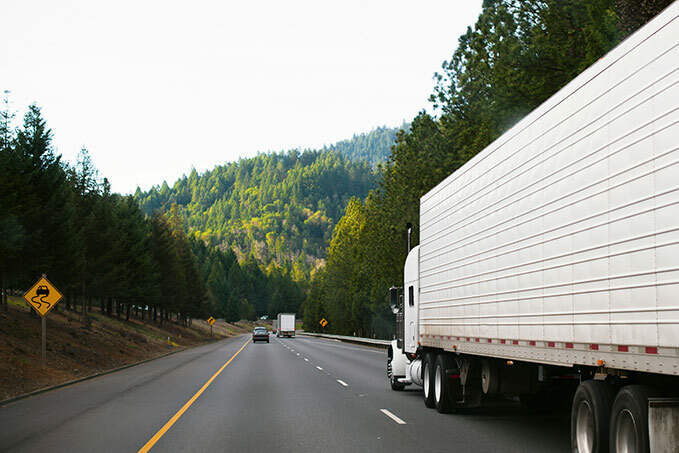 The FMCSA puts non-compliance with the mandate’s requirements in the same category as similar traffic-related offenses. Penalties are assessed based on culpability and history of prior offenses, Sandberg said. Federal rules specify those factors must be considered before civil penalties are assessed. FMSCA rules state that disabling, deactivating or tampering with an ELD is acute violation of the mandate. Acute violations require immediate corrective action, according to the FMSCA. Critical violations are not considered as severe and may include failure to require drivers to file a record of duty status, for example. The FMSCA uses formulas to calculate fines for violators. The initial calculated fine per acute violation is $8,672, according to FMSCA. The Owner-Operator Independent Drivers Association (OOIDA) filed a complaint with the Seventh Circuit Court of Appeals in Chicago to overturn the mandate, calling it “arbitrary and capricious.” Association lawyers argued at a hearing in September that the mandate violates truck drivers’ privacy rights and protections against illegal searches and seizures. Legal analysts expect a ruling by early next year.